 What makes Heritage Baby View Unique? What is the difference between 2D/3D/4D and HD Live? How early can you determine gender? 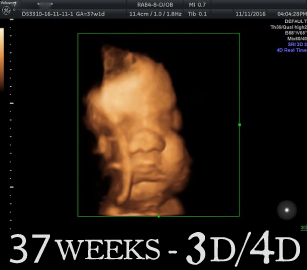 When is the best time to come for 3D/4D/HD Live ultrasound? Can family and friends come with me? What about children? How do I pay and will Insurance cover this ultrasound? Do I need a note from my doctor to come? When will I receive my items listed in my package? Will my images be like the ones I see on the Internet? What can I do to make my scan better? Our Location: Convenient and within walking distance to many local shops and restaurants. This makes it easy to combine your visit with a celebratory lunch/dinner at a local restaurant or visit one of the quaint shops for a special purchase for your new little one. Our Facility: Specifically designed with you in mind. We have strived to make our facility inviting, comfortable and relaxing. Heartbeat Buddies: Record your baby’s heartbeat or a special message for a sibling that is heard every time you squeeze one of our many soft and cuddly animals. "Guess with Props" Photo Op: Who says Boy? Who says Girl? We encourage you to take advantage of this unique and fun way to document your guess and see who is right. 2D is the grey-scale imaging many see in their doctor’s office. 3D adds the dimension of depth and is commonly seen in a sepia tone. 4D adds the dimension of motion. 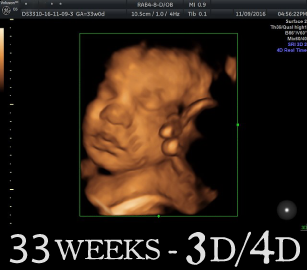 HD Live is the newest and latest technology which uses rendering software to give a realistic image of your baby. 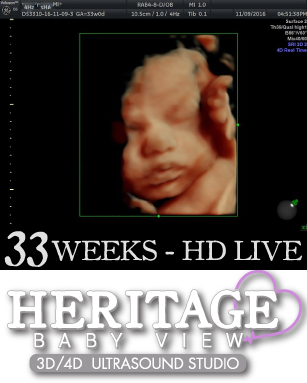 Heritage Baby View is the only studio in the area to have the capability to offer HD Live technology. Gender determination can be done as early as 14 weeks. We offer two packages to meet the needs of every mother and budget. During your pregnancy you will find that changes are happening quickly and continuously. That is why different weeks will give you different opportunities to see your baby in unique ways. Use this as a guideline to decide on the time and package that works best for you. Many mothers chose to come more than once to see their baby as he/she grows. Between 14-24 weeks your baby will be skinny as they have not developed any fat yet. This is more noticeable in 3D/4D. You will however be able to see the whole body at one time. This is a great time to find out if your baby is a Boy or Girl. 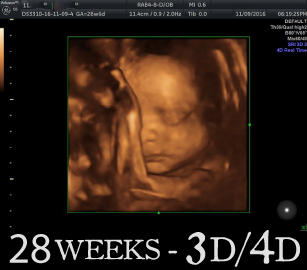 24-28 weeks is when your baby is starting to form their fat. They are still small enough to see a good bit of their body, making this a good time to see hands/feet and face. 28-32 weeks The fat stores will now give your baby’s face more definition enabling you to see their individual characteristics. They still have plenty of room to move around, giving us optimal opportunity to catch them in a good position for pictures. 34 plus weeks may still provide you with great images, but it is more dependent on how the baby is positioned. We run the risk of having your little one pushed up against you and as they near the 37 week mark, they tend to stay in their “favorite” spot, which may or may not be conducive for imaging. Yes, appointments are necessary for all of our services, but many times we have same day appointments available. Give us a call at 843-488-4455 to schedule your appointment. We have days, evenings and week end appointments available. Absolutely! Our studio is designed with that in mind! We have ample seating and a large 55” Wall mount TV so everyone can easily see and share the moment with you. We also welcome children and have an area set up just for them. This is an elective ultrasound and therefore insurance will not cover it. We do accept Major Credit Cards/Debit Cards and Cash. No note is needed from your provider but we will need to know your Healthcare providers name and phone number for confirmation purposes. We are an optional service and do not replace any element of your prenatal care. If you have medical concerns we urge you to notify your health care provider. All pictures, DVD’s, CD’s and Heartbeat hearts will be ready to take with you when you leave your appointment. Our goal is for you to have “Internet worthy” keepsakes, but there are no guarantees. Many factors play a role in the images that we will be able to capture of your baby. The baby’s position, amount of amniotic fluid and mothers’ body type can affect the end result. With years of experience we have found innovative techniques to help when baby is being a bit difficult. Drink plenty of water every day 1-2 weeks before your scheduled appointment. Staying well hydrated is very important in order to get a clear view. © 2017 Heritage Baby View, All Rights Reserved.